All charitable organizations such as the Quebec Lung Association, depends on the financial support they receive to pursue their respective missions and help the people affected and their families. In this regard, Healthpartners-Québec is a coalition of 16 non-profit organizations active in the field of health that lead together the fight against more than 300 health problems responsible for about 80% of premature deaths and participating in the relentless quest for answers and treatments through research, programs and services. The mission of Healthpartners-Québec is to raise funds in federal and provincial workplaces, and also in large companies to benefit these 16 national charities that support research and ensure the delivery of health programs and services. Their philosophy is that you can do better in partnership than individually. Promote research to improve treatments and eventually eradicate the disease concerned. Through its fundraising, Healthpartners-Québec provides its members valuable support to carry out their commitment to people in vulnerable situations on the health plan. 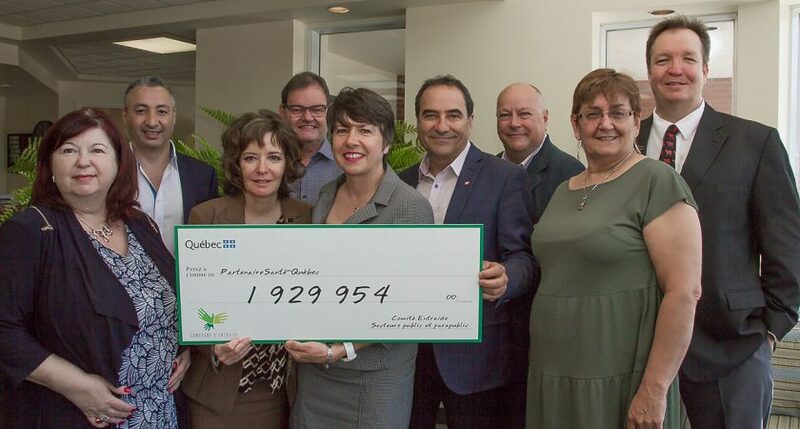 The Quebec Lung Association wishes to express its deep appreciation precisely to the Quebec Government for the amount of 60 920,00$ that was given to us through the Entraide Campaign 2016 by Healthpartners-Québec. We also wish to extend our sincere thanks to the employees and retirees of the state for their generosity. Again, thank you!